Sig Sauer's new P938 Legion chambered in 9mm ships with three 7rd magazines. 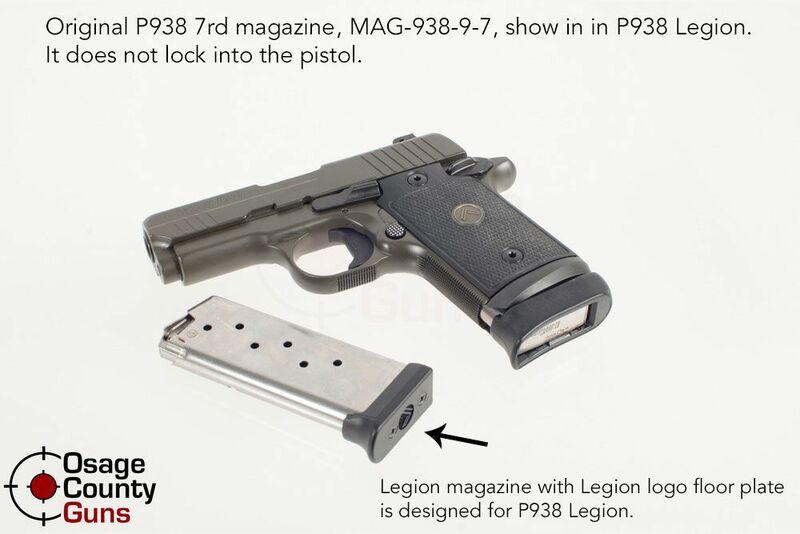 Note: Sig's original P938 7rd magazine (MAG-938-9-7) will not work in the P938 Legion. 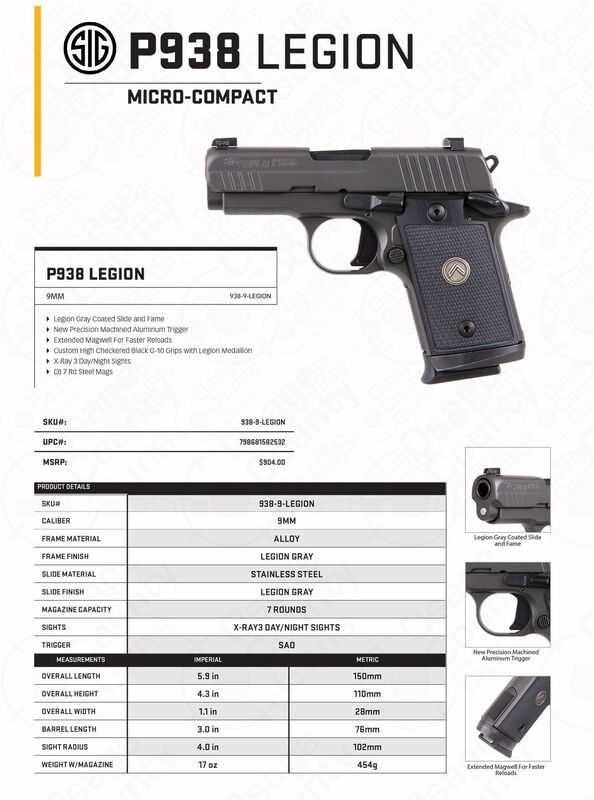 The correct part number for Sig's new P938 Legion magazines is MAG-938-9-7-LEGION.